Northumberland, England's most north-easterly county, is famous for miles of sandy beaches, stunning mountain scenery and more castles and romantic ruins than any other English county. And with several large and uncounted smaller roads criss-crossing the area, the county lends itself ideally to a touring holiday, such as this Northumberland castle tour. This 3-day Northumberland castle tour gives you a taste of the county's stunning coastline, its history as a cradle of Christianity in England and - of course - its violent past and some of its most romantic castles. 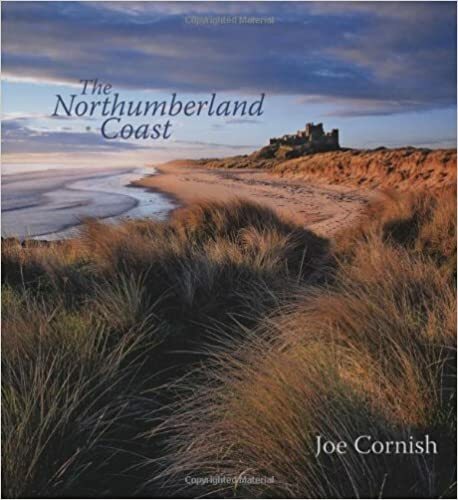 Because for much of its long history, Northumberland was border country. On its soil Scandinavia met Anglo-Saxon England, Normans fought Vikings, and Scots did battle with Romans, Normans and English in turn. To the beleaguered Northumbrians, fortified living quarters must have seemed the only way to keep families and possessions safe, because Northumberland has a stunning array of intact and ruined castles, bastles and pele towers. So follow our lead, try the Northumberland castle tour, and appreciate the history and splendour that Northumberland has to offer, along with tranquillity, space and stunning vistas. If you want the castle sites almost to yourself during your Northumberland castle tour, then avoid the school holidays and the height of the summer. May and early June are good times to explore, as is September. 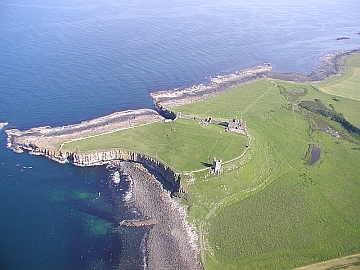 The Holy Island of Lindisfarne is cut off from the mainland by the tide twice a day. It is only accessible via a causeway at certain times. To avoid disappointment, it's important to check safe crossing times before you decide on the day of your visit. As with the rest of England, the weather can be a little chancy at times. So even if you schedule your Northumberland castle tour for the middle of summer bring a light rain jacket. And if you plan to explore the miles of empty beaches and stunning coastline, then a sturdy pair of walking shoes is a must. If you base yourself at Alnwick, the former capital of Northumberland, you will be ideally placed to explore the eventful past of Northumberland's coast. Alnwick is a delightful old town with crooked houses and cheerful pubs and restaurants. Many cafes and green spaces allow you to sit out when the weather is nice and you can while away your time in the many unusual shops - amongst them England's largest second-hand bookshop - when it is not. Alnwick has accommodation to suit all tastes and budgets. 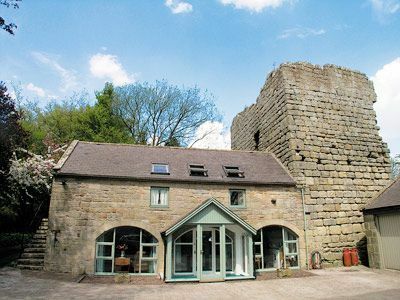 You can choose to be looked after in a hotel, guesthouse or Bed & Breakfast, or rent a self-catering cottage while you plan your Northumberland castle tour. 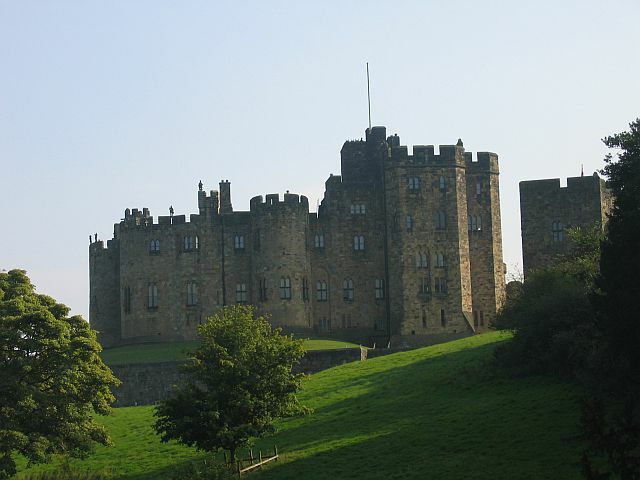 Begin your Northumberland castle tour at Alnwick Castle - the 2nd largest inhabited castle in England and now also famous for being Harry Potter's school, Hogwarts. The original castle - once the strongest fortress in northern England - was built by a Norman baron, Yves de Vescy, just 30 years after the Norman Conquest in 1066. In 1309, the castle became the property of the powerful Percy family, who ruled the North as Dukes of Northumberland. The current Duke still calls Alnwick Castle his home and the Alnwick Gardens, lovingly restored and extended by the Duchess, are famous the world over. There's so much to see and even more to do, you should allocate a whole day of your Northumberland castle tour to explore the castle and the gardens. But you should also set aside some time to wander the streets of Alnwick town - it's seen much history and is truly delightful. Today's part of the Northumberland castle tour takes you south of Alnwick to explore the castle of Warkworth and the area surrounding it. There's plenty of opportunity for pleasant walks, so make sure you pack your walking shoes. It's the mightiest of the Percy strongholds in northern England - and a true gem of the Northumberland castle tour. 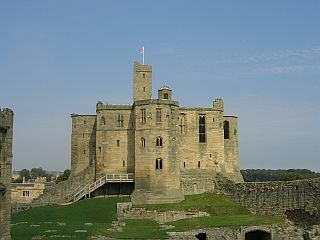 The building of Warkworth castle was begun in the 12th century. Immortalised by Shakespeare in Henry IV as the home of Harry Hotspur, most of the cross-shaped tower keep was built in 14th century. It is regarded as one of the finest examples of English medieval architecture and, still roofed and almost complete, presides over the extensive remains of a great hall, chapel, fine gatehouse and a virtually intact circuit of towered walls. And to top this off, the Duke's Rooms in the castle keep are open on Wed, Sun and Bank Holidays from 21 March to 30 September. Warkworth castle is partially ruined, but there's enough of it left to show what an imposing edifice it once was. Now imagine it heaving with people and horses, and the picture becomes even more impressive. When you leave the second stop on your Northumberland castle tour, go down to the river. After about half a mile, tucked away by the river Coquet and accessible only by boat, you come across a much more peaceful building: the late medieval cave Hermitage and chapel of a solitary holy man. Defensive structures both, but one would have been noisy and in your face, while the other might have been a bit harder to find. It's a peaceful walk along the river and the views of the great fortress on the way back are well worth the outwards stroll. And while you're there, don't forget to take a wander through the village of Warkworth. 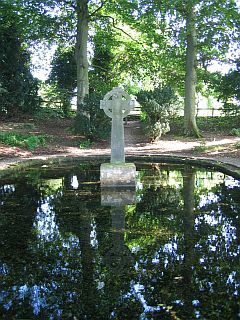 The lovely little Norman church was the site of a terrible massacre in 1174, when the Scots earl Duncan had all the villagers who had taken refuge in the church put to the sword. From Warkworth, follow the B1068 back to Alnwick, then turn off onto the B1339 just before Alnmouth. If you want to admire one of Northumberland's endless beaches, stop at Alnmouth for lunch and take a stroll. Alternatively, you can drive a little further north to the little fishing port of Craster. It's famous all over England for the oak-smoked kippers that have been produced here for well over 100 years. Craster Kippers are often served for breakfast. But they also make an excellent addition to a lunch on the beach - or if the weather does not play ball, have them served with brown bread and a pint in the local pub. Leave your car in Craster and take the coastal path to England's most romantic ruin: Dunstanburgh Castle. This is one of the most photographed castle ruins in England, but I always think it's well worth the hype. The walk is easy, even for small children and buggies, and the scenery is simply outstanding. In the 14th century, Dunstanburgh was on of the mightiest castles in England, perched on a steep cliff and protected by the sea. Between them, the castle's two owners - Thomas, Earl of Lancaster and John of Gaunt - created a structure that looks imposing even seven hundred years later. If you've lunched on Craster kippers and walked to Dunstanburgh and back, you should now be ready for afternoon tea. For this you cannot find a better place than Howick Hall, which is only a couple of miles south on your road back to Alnwick. It was built in 1782 for the Grey family, who have lived in Howick since 1319. And the connection with afternoon tea? Here lived the man who invented the famously bergamot-scented Earl Grey tea! The house is not open for visitors at the moment, but the gardens are stunning. And you can always stay for tea before making your way back to Alnwick. Depending on the tide, you can either start your day with a drive up to the Holy Island of Lindisfarne and then meander your way back down the coast, or you can drive up the coast and spend the afternoon in Lindisfarne. Either way, you'll have an interesting day on your Northumberland castle tour. This busy fishing port is very popular with visitors and from here boat tours depart to the bird and seal sanctuary of the Farne Islands. This is fun but can be wet, so make sure you have a coat in the car or - even better - a spare pair of trousers. Some of England's best Fish & Chips can be had in Seahouses, so don't miss out. Best eaten sitting in the sunshine on the harbour wall watching the boats come and go. And if you feel like walking off your fish supper, then just take to the coast path. Beautiful scenery is guaranteed! 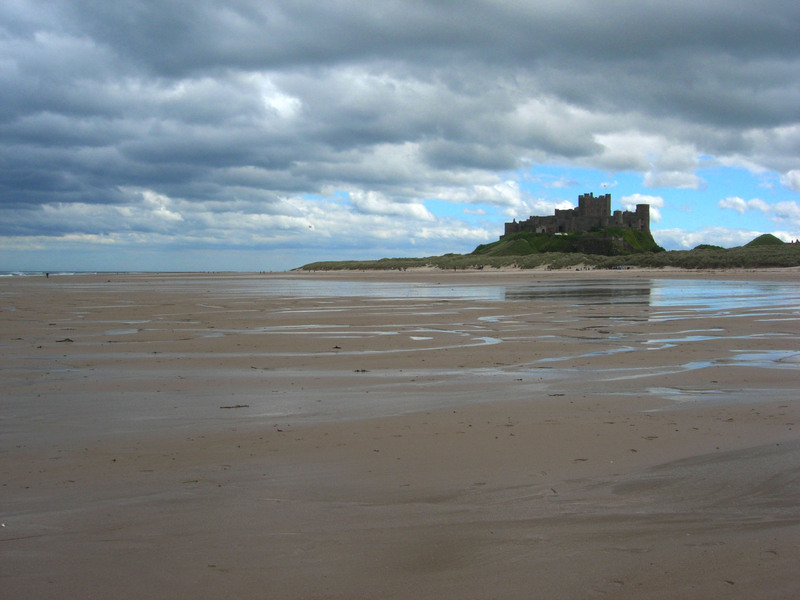 Bamburgh Castle is the home of the Armstrong family. This massive, brooding structure can be seen for miles around and has been part of Northumberland's coastal defences since approximately 500AD. Once it was a royal city where the kings of Northumbria were crowned, but little remains from that early period. The current castle dates to the end of the Norman era, when the wooden defences were rebuilt in stone. It was badly damaged by artillery fire during the Wars of the Roses, but - fortunately for us - was restored by a generous Bishop of Durham, before being taken over by the Armstrongs. Nowadays, the castle is open between March and October. You can tour the public rooms and learn about the engineering exploits of the 1st Baron Armstrong in the castle's Armstrong Museum. The Holy Island of Lindisfarne is a 'must-see' when you're in this part of the world. But that does not mean that it's easily accessible. Lindisfarne Island - also called Holy Island - can only be reached over a causeway and is cut off from the mainland twice a day by the tide. Make sure of the tide times before driving up to avoid disappointment. And check 'last safe crossing time' as soon as you arrive and park. If you miss it, you'll be stranded on the island until the tide turns! Lindisfarne Island is the home of Christianity in England and it's here that one of the world's most famous illuminated manuscripts, the Lindisfarne Gospels, was produced. The local museum has an excellent reproduction for visitors to admire. Lindisfarne has a beautiful little castle, built by Henry VIII, which is open to visitors. Converted into a weekend retreat in the early 1900's, its interior will surprise you! But - for me - the best bit on Lindisfarne is the Secret Garden, created by Gertrude Jekyll. Hidden in the rolling dunes like some precious jewel, you're bound to miss it unless you make a point to look for it. I suggest that you do. Still have a little more time to spend? Visit the ruins of Lindisfarne priory or take a walk around the dunes. It's extraordinarily peaceful. And when you drive back over the causeway, just as the tide is lapping at its sides, you'll feel as if you're returning from a visit to a different time. Once you've seen the coast close to Alnwick, don't get the idea that you've seen all of Northumberland! Neither have you made the acquaintance of all the castles this county has to offer. But hopefully, this little Northumberland castle tour has whetted you appetite for more and the next time you come to visit, turn west out of Alnwick and explore the Cheviot Hills, Coquetdale, the Kielder Forest and Hadrian's Wall. Did you enjoy your Northumberland Castle Tour? Check out the Northumberland page for more ideas.